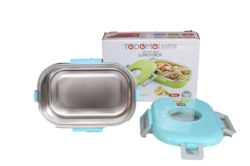 We are one of the Leading Manufacturer and Supplier and Importer ofLunch Box like Plastic Lunch Box, Stainless SteelLunch Box, InsulatedLunch Box,ElectricLunch Box and Air TightLunch Box. 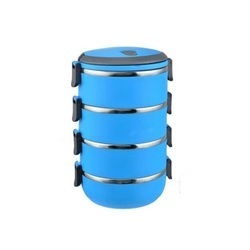 This Lunch Box Is Made Of High-Quality, Food Grade Stainless Steel. 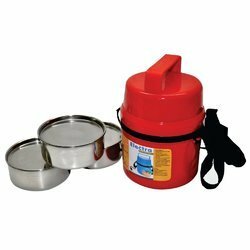 It Can Be Used To Store Food Such As Pastas, Rice, Vegetables, Roti. 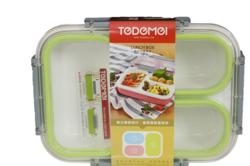 Lunch Box For Kids, Students And Working People.1 Main Container with plastic box. 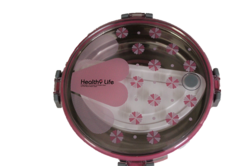 Pink Round Lunch Box is made of food-grade materials and high-quality Pink Round Lunch Box stainless steel. Non-toxic, tasteless, health and safety. The lid with extended fastening design, close the lid and box body fastening, no leaking no sprinkle, easy to carry. Arched handle,more convenient to carry. Single Rectangular Lunch Box is made of food-grade materials and high-quality stainless steel. Non-toxic, tasteless, health and safety. The lid with extended fastening design, close the lid and box body fastening, no leaking no sprinkle, easy to carry. Arched handle more convenient to carry. 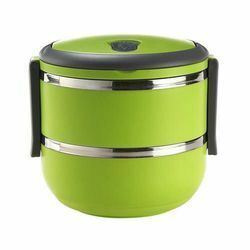 Stainless Steel Round Lunch Box is made of food-grade materials and high-quality Plastic Material outside and Stainless steel inside. no leaking no sprinkle, easy to carry. Carrying a delicious and healthy home-cooked meal to school or office need not be a drab affair anymore. With its unique design and functionality. This lunch box is made of high-quality, food-grade stainless steel (interior). 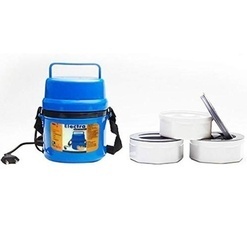 It can be used to store food such as rice, vegetables, roti. 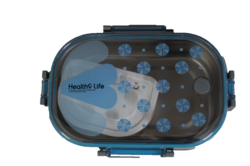 Lunch boxes are made of food-grade materials and high quality stainless steel.Non-toxic,tasteless,health and saffety. The lid with extended fastening design,close the lid and box body fastening,no leaking no sprinkle,easy to carry and airtight.This is easy washable easy cariable and light weighted too ,,perfect for travaelling or home use.also this lunch box is very strong and long lasting.all lunch boxes are thermoware safe. 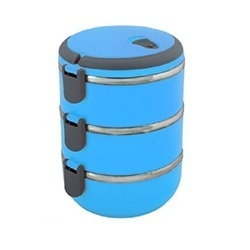 Power plus electric microweavable 3 containers hot lunch box. 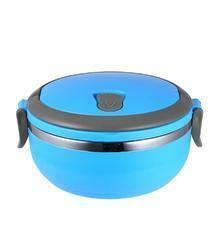 material: durable heat resistant plastic microwavable container. Used For Stacking Daily Needed Item.